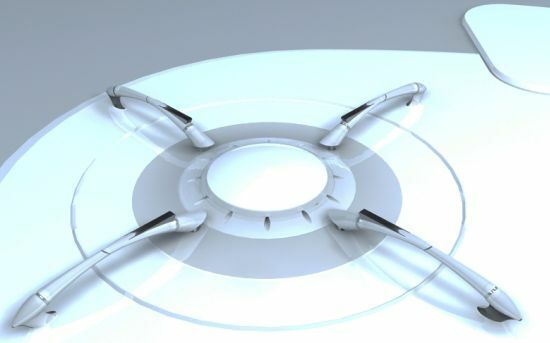 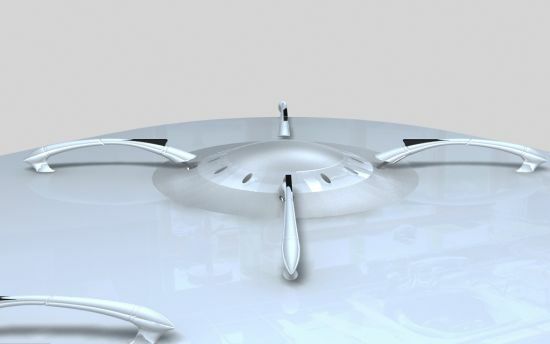 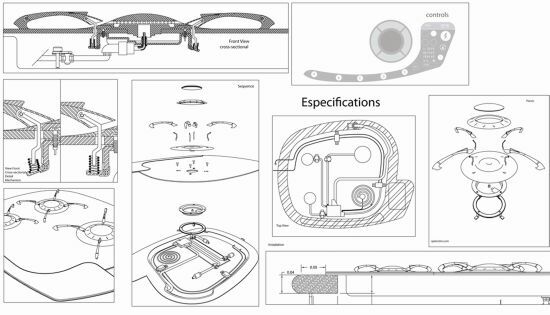 The “Cooktop for Environment” by designer Alejandro Sanchez is a mixed gas-cooktop (3 gas-burners/ 1 electric) that not only restores natural resources by reducing the energy consumption but also the ensures safety of the users. 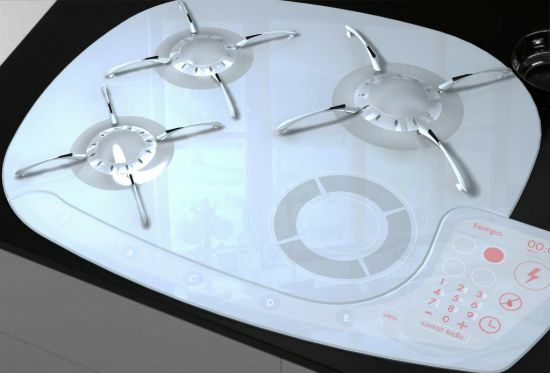 Featuring the body and burners finished in white glass-ceramic alloy, which is capable of resisting the temperature of the gas-combustion, and the support arms made of polished steel, the automatic cooktop incorporates a digital display (like the microwaves), allowing precise control of each component. 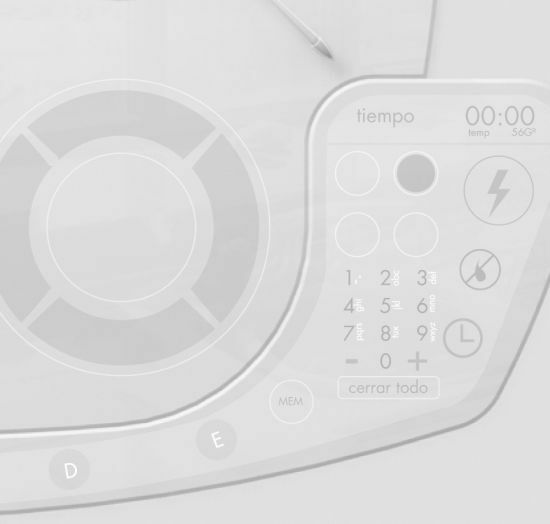 The sustainable cooktop can also detect the temperature of the pots on top of the burner, thanks to the sensors and mechanism inside of the arms of each burner. 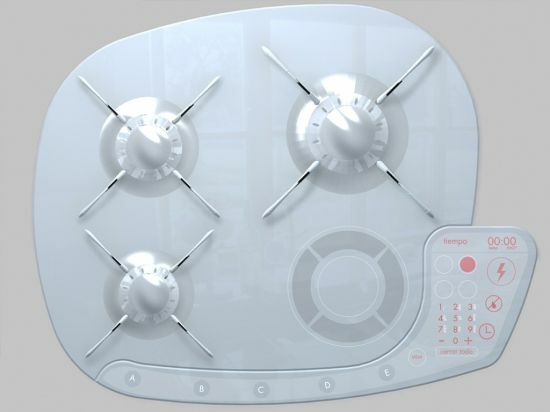 When not in use, the cooktop closes the valve to control the gas-flow, thus avoiding energy wastage as well as accidents. 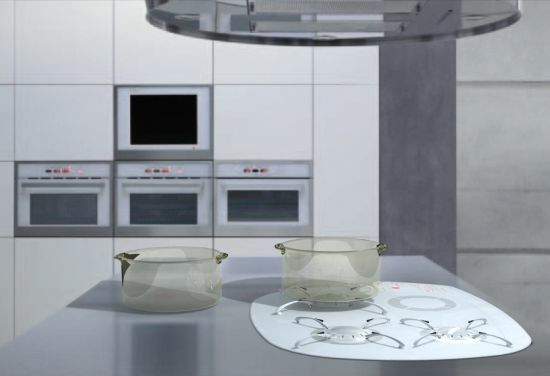 The digital display lets the users preset the cook-time and preserve the best for future use, while the glass-ceramic finish ensures hygiene and makes it recyclable. 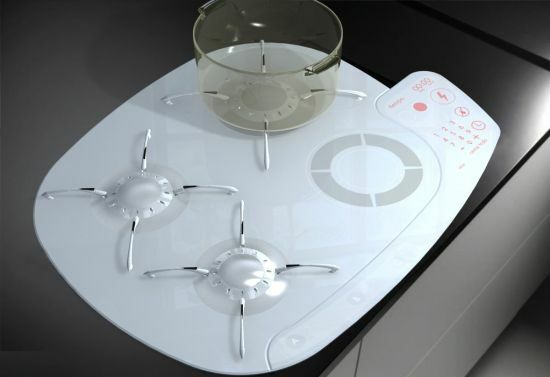 Moreover, the coocktop by the Colombian designer is shockproof which adds versatile to the kitchen appliance.